Happy New Year to everyone! I hope you've all had a great time over the winter break and hope you haven't over-indulged too much - I started my diet on New Year's Eve and have lost 4.5lbs already! More importantly, I'm just letting you know that the entry for the Rowrah 2017 Fun Weekend on 15/16th July is now open and the fee has gone up to £70 due to an increase in the charge made by Cumbria Kart Club. It would be fantastic if we could see a lot more early entries, as this does help to create more interest and a bigger entry on the day. Best wishes for 2017 to you and yours. The Rowrah 2017 entry fee has gone up to £70 per drive, any other drivers sharing the same kart will pay £30 on top of the first driver. If you have 2 or more karts the drivers sharing the kart-s is not allowed to go on the track at the same time as the owner of the karts unless they pay £70. 1 Starting karts in the pit lane may be stopped at my discretion, for speeding and over-revving. 2 No karts to be started on Friday at all. Anybody found starting karts may be sent home and lose entry fee as the track is only booked for Saturday and Sunday and that means noise as well. 3 No karts to be started whatsoever after 1 hour following the end of the last session on the Saturday or Sunday. 4 No karts to be started until 15 mins before the start of the first session on the Saturday and Sunday. 5 No kart engines to be revved and revved and revved, etc. Once it has started, stop revving. You just need to see if the engine is going to start. 6 Anyone on the track not wearing the appropriate suit, helmet and gloves will be stopped and banned for half a day and no boiler suits. 7 Also - fasten your seat belts! There will be breathalyser tests carried out at my discretion. Anyone showing signs of heavy drinking will be breathalysed and if this fails, you will be charged the price of the breathalyser and re-tested after one hour. This will be repeated every hour until you are clear. 8 FREE SESSIONS FOR NEWCOMERS - NO MORE!! Second driver rules will apply. If these rules aren't observed by all drivers, the whole Rowrah weekend is in jeopardy. Front row pit parking space will be allocated by me, Jim Coulthard. When you arrive at Rowrah, stop on the hill before parking, and I will direct you to your allocated space. One last message - this weekend is about having two days of track time and having a lot of fun, enjoying what we did in the past, it's not "whacky races" or "anything goes". Motor sport is a dangerous activity - if you don't take it seriously, I do. I spend all year trying to get the Rowrah weekend running to the clock, and up to now I have done, so don't spoil it for everyone else. The Rowrah Weekend is something I have built up since 2005 and it's not going to be jeopardised by clowns. You might think this is a bit harsh, but things have got to be tightened up and done right. The more entries we get the better the weekend will be, so get your entries in early, it helps me to help you have a better weekend. This message is a reminder to the members who are coming to the Rowrah weekend on 16/17 July that haven't paid your £65 entry fee yet, you only have till the 20th June, this is when the entries close. After 20th June, you will have to pay £85 as a late entry. So don't forget to get your £65 entry fee in as soon as possible so it makes it easier on your pocket. You know it makes sense, if your name is not on the list, please let me know as soon as possible, with your full details - kart engine and number and where you are from. So please try and help me to make the Rowrah weekend bigger and better than it's ever been. PS if you pay your £65 now, you can forget about it and all you've got to then is fill the car up! HERE IS A LINK BELOW TO THE PHOTOS THAT NICK PURDIE TOOK AT FELTON NOISE TEST DAY ON THE 3rd OCTOBER 2015. A BIG THANK YOU NICK, YOU ALWAYS COME UP WITH THE GOODS. I would just like to have one last say on what I want to happen on Saturday at Felton. 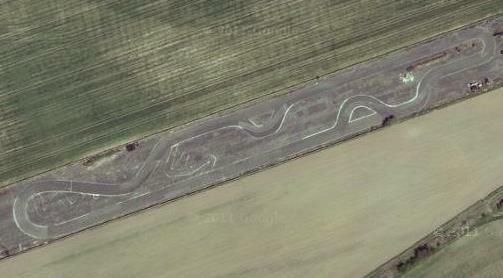 The owner of the track has rung me and is concerned about the number of karts that coming on Saturday for the test day. Here are the rules for the weekend - the named driver can only bring 1 kart, not 2. OUR SECOND KART WILL NOT BE ALLOWED ON THE TRACK. Before you set off on Saturday please go to the toilet as there are no toilets. If you need to go you will have to find a Pub in Felton village. Pushers - can you bring a pair of gloves as the ground is very hard and sore when you go down on it . Also there will be no blasting cars up the straights as this could end up with a BAN, and if you see any karting bits on the ground, once you have picked it up put it in your boot or at the side of the pits fence, do not dispose of it by extending your arm with it. There will be NO starting karts in the pits as I know what you are like BROOM BROOM BROOM BROOM FLIPPING BROOM. This is a Noise test day not a set up day for other events. The track will not have any tyres marking the track lay out, so please take your time finding out where the corners are, and when you do learn the track put your brakes on a bit earlier than you would normally so as not to over shoot the straights as we will be at one end of them and a BARN at the other end. If I think you are overdoing it at the end of the straights I will be giving you a warning then the RED CARD. What I am trying to say is: don't get carried away, SO I WILL BE WATCHING YOU ALL. Possible good news for Northumbrian Classic karters - I have been in touch with the new owner of the old kart track at Felton. 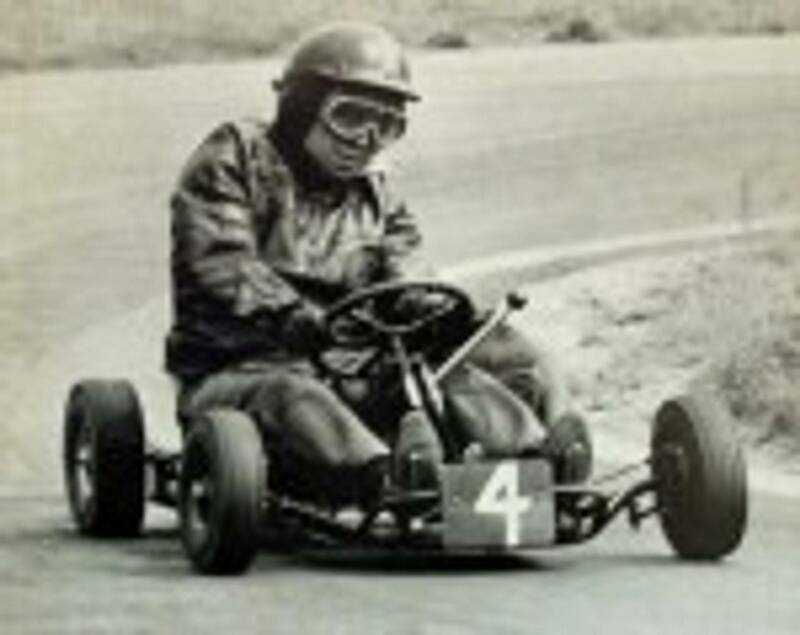 He has offered me a trial run out on the old track so I will be inviting 6 class I karts and 6 class IV karts to come to Felton to see how we would get on as far as noise is concerned. This will take place late September/early October. A weekend will be chosen around the weather forecast and it will be a Saturday. The Class I's will be out separately from the Class IV's. I will be in touch to invite six of each Class. I'll be asking you to do a couple of things to your karts. Firstly, try and cover the carbs up to stop any stones or debris getting in as the track has quite a few small stones on it at this time. Also, it would be a good idea to try and quieten down your exhausts with an extra silencer if possible, as this test at the track will be around noise. I was very pleased to meet Mr Allan and he is just as enthusiastic for us to go as we are! If this all comes to something, our dreams will have all come true! So let's keep our fingers crossed that everything goes well! For more updates, watch this space. Cults Kart Club over in Stranraer have invited anyone who wants to go to their Meeting on 26th / 27th September. You will be made very welcome. The cost will be £40 for the two days. Both Class I's and Class IV's will be made very welcome - all years of karts. Anyone wishing to go, please contact Rob Logan on 01776 889782 or Mobile 07775 800388. This message is a reminder to the members who are coming to the Rowrah weekend on 18/19 July that haven't paid your £65 entry fee yet, you only have till the 30th June, this is when the entries closes. After 30th June, you will have to pay £85 as a late entry. So don't forget to get your £65 entry fee in as soon as possible so it makes it easier on your pocket. You know it makes sense, if your name is not on the list, please let me know as soon as possible, with your full details - kart engine and number and where you are from. ARE YOU GOING TO MISS OUT, IF YOU FORGET IT'S YOUR FAULT. This message is a reminder to the members who are coming to the Rowrah weekend on 18/19 July that haven't paid your £65 entry fee yet, you only have till the 30th June, this is when the entries close. After 30th June, you will have to pay £85 as a late entry. So don't forget to get your £65 entry fee in as soon as possible so it makes it easier on your pocket. You know it makes sense, if your name is not on the list, please let me know as soon as possible, with your full details - kart engine and number and where you are from. FOR 2 MONTH ONLY AS IT WILL BE THE 10th ANNIVERSARY OF THE ROWRAH CLASSIC KARTING FUN WEEKENDS, THE ENTRY FEE WILL BE ONLY £50 AS AN INCENTIVE TO PAY EARLY AND SAVE YOU MONEY. Please No Excuses, I have heard them all. Here is a link to the photos taken by Nick Purdie over the Rowrah classic weekend, also some taken by Guy Lawson . All I can say is that these fantastic photos tell the story of how it was at the Rowrah Classic Weekend, yes, absolutely FANTASTIC. I'm sure Nick & Guy wouldn't mind you taking a few and putting them onto the Rowrah 2014 photo album. Thanks to Nick & Guy for snapping the moment. The track will be open at about 6 pm on Thursday 19th June. The canteen will be open on the Saturday & Sunday, so please try and support the canteen as much as you can as it does cost the Cumbria club to open it. The toilets in the canteen will be open on the Friday at some time. I have ordered 3 marshals and a St Johns person for the Saturday & Sunday, 2 on track & 1 on the dummy grid organizing the time table. On the Saturday mid day brake there will be photo's taken on the track in front of the canteen, I am hoping for a full line up of drives and helpers as well as many karts as possible that we can get in the picture. The karts will be chosen on condition, so don't be to huft if your kart does not get picked. I WILL SAY THIS ONCE MORE, PLEASE SUPPORT THE CANTEEN AS MUCH AS YOU CAN.